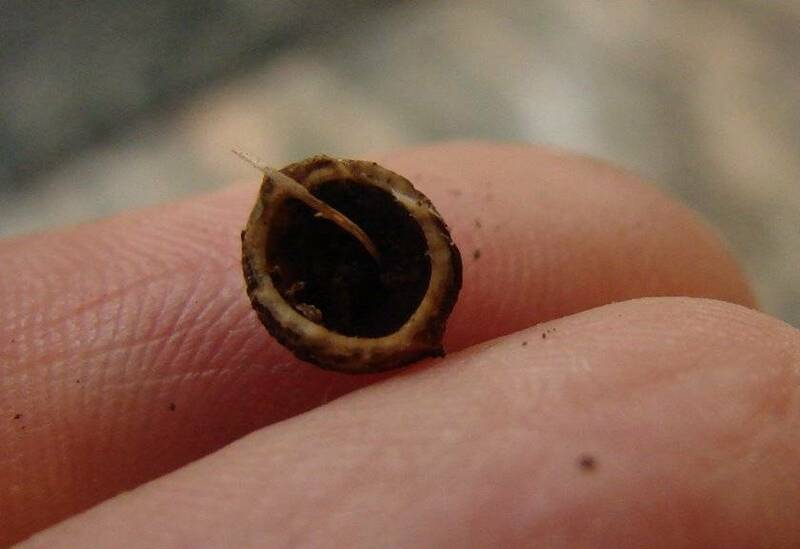 This Mustika Pearl was found deep inside the wood of a fully attached Wytch Elm branch which had died. These bezoars are approximately 1/4" in length and you will receive three Bezoars for each bid. Bezoars are widely known in South-East Asia, India, and other countries of the East. 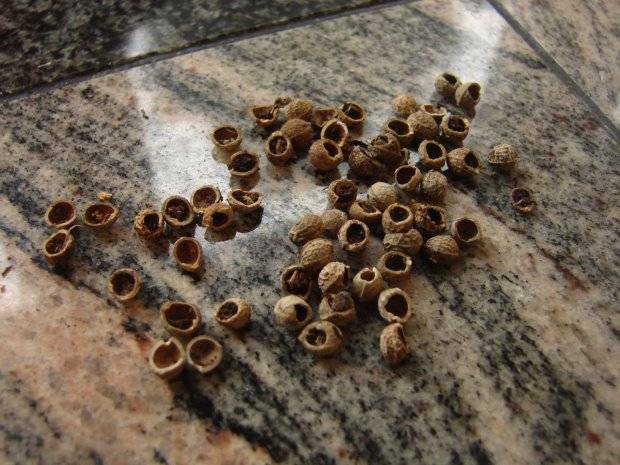 Philipinos call them Mutya and Occidental naturalists of the past refer to them as Bezoar stones. The powerful stones told in tales and legends are actually Bezoars. The Sanskrit text, "Sri Garuda-Puranam," speaks in detail of these Stones. Unusual Stones have occasionally also been found in the bodies of saints, holy people; animals and plants. These objects are not common. The place that this Magickal Pearl was found is a Power Spot, an area where the veil between this plane and the next is very thin, and quite often blurred. Many have seen spirits in this area and have collected very old rare coins left there by the elementals. This item is 100% authentic and is priced so you can afford them, even though I could ask for a high price for these. I would like them to go to someone who can use them. I am the fortunate person who unearthed the Bezoars within the wood. No one had to tell me that this item is authentic. I literally took this item out of the middle of the wood after the branch had been cut in two. This item is exactly what is advertised. Mustika/Bezoar/Magikal Pearls are fed by scent and light. They should be exposed to the light of the moon and also to sunlight. It is also quite beneficial to lay a scented flower near them when not in use. Most of the Mustika Pearls are hollow inside. What you are seeing above is some of the debris that was inside the Wytch Elm Tree. Most of the debris will be removed before your Mustika Pearl is sent, but some may still contain some of the soil. I am a Graduate Geologist through the Gemological Institute of America, Carlsbad, California, USA. and have literally sold thousands of healing crystals and jewelry to many satisfied customers. There are a few of these up for auction and each bid is for three Mustika Pearl Bezoars.